It just cannot be denied that accidents have become really common on the Indian roads. Sometimes it is the fault of the drivers, sometimes it is the fault of the pedestrians. It might be anyone’s fault, but there is always a person who is hurt. This recklessness needs to stop, and it needs to stop right now. The government has launched a really helpful scheme for the common people, called the Santwana Harish scheme. But we need to remember that the moment we are on roads, our safety depends on us. The way we drive, the way we walk, determines our fate on the road. That being said, this article is going to focus on the details about the newly launched scheme in Karnataka. The scheme has been named after a certain individual of Karnataka, called Harish Nanjappa. 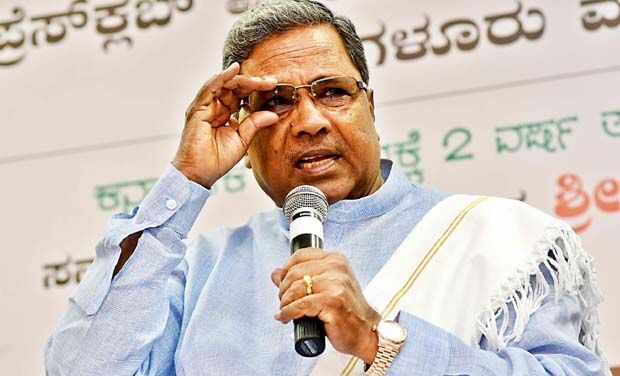 So what will the Santwana Harish Yojana offer to the people of Karnataka? One of the first things that an individual needs after an accident is immediate medical attention. And this scheme is going to offer just that. In this scheme, any individual who meets with an accident will be provided with immediate and free medical help for the next 48 hours till an arrangement of doctors and a proper diagnosis is done. This will be provided to anyone who meets with an accident, irrespective of age and gender. According to this scheme, treatments will be made free of cost for the next two days. And it will be given irrespective of financial status, caste and religion. The scheme has been really effective for the accident victims so that they can survive. And here are the complete features of Santwana Harish Scheme. The scheme is specifically for the victims of road accidents. The victim will be immediately taken to the nearby government or private hospital. The first two days will be free of cost as stated above. But if the patient needs to stay more than two days, then the remaining cost will be taken up by the patient party. The victim will be provided with a certain amount of subsidy money for the treatment of these two days. The money will depend on the expenses and the type of injury that the patient had. It will depend on the mental and physical health of the patient. There is no procedure for applying for Santwana Harish Scheme. You will be provided with a helpline number. In case any individual meets with an accident, you have to call on that helpline number. Immediate help will be there. He/she can also be admitted to a nearby hospital by fellow individuals in case of emergency. The scheme has a great feature. This does not have any eligibility criteria. According to the governing authority, the scheme will be made available for a rich, poor, BPL or APL individuals. Since it does not have any eligibility criteria, it is open for anyone and everyone. You will be provided with a helpline number where any individual can contact for help. Help will be provided immediately. After calling, an ambulance will reach the spot and pick up the injured victim to the nearest hospital. There are several helpline numbers for the Karnataka government. The helpline numbers for ambulance and others is 104 and 108. The toll free number for other issues is 18004258330. For any other details and information you can contact the website mentioned below. How is it going to change the patient admission procedures? Each and every public and private hospital has been made aware about this scheme. They have to admit the patient, on the moment he/she arrives the hospital. Previously, when the patients’ arrived to the hospitals, if it was an accident case, you had to make a police diary at first before admitting. But now, you won’t need to make any FIR’s or diaries before admitting an accidental patient in a hospital. According to the regulations of Santwana Harish scheme, the hospitals are bound to admit the patient before any further enquiry. There are innumerable hospitals at present who have registered under this scheme. Those hospitals include private and public hospitals, talukha hospitals, CHC, district hospitals, all the medical colleges including both private and public. Any recognized hospital in the GPS locator will also be present so that the victim can be taken up there easily for the immediate medical attention. What are the services that the beneficiaries will be receiving? There are 25 packages that will be available in this scheme. The packages will depend solely on the requirement of the victims and their injuries. In case any additional services are needed, it will also be offered for the 48 hours. All depends on the condition of the victim. With the help of this scheme, the patient can take up different treatments. Starting from the intensive care unit facilities to the ward care facilities for accident victims, everything can be availed through this scheme. There will be diverse treatments. Starting from the head injuries, fractures, blood transfusion, spinal injuries, burns, along with the primary treatments, all can be availed. It will also offer special emergency treatments for serious patients. Who is going to fund this scheme? The complete funding of this scheme has been taken up by the Karnataka government. A certain amount has already been released by the government to carry out this scheme. And according to the reports, the government is also planning for additional funding for this scheme in the next financial budget. The details of funding are mentioned in the table below. What are the duties and regulations of the hospital under this scheme? When the patient is brought to the hospital, the hospital authority can call or contact the authority online immediately for registration. This will help in registering the patient immediately. Also the hospital authority will need to get the approval of the patient party for continuing the treatment of the victim. http://mss.kar.nic.in/, this is the official website where the hospital will get the software that helps in enrolling the organization within the scheme. They can also register the name of the patient, opt for claim and process further. According to the facilities that are offered to the hospitals, there will be the markings. For instance, a grade 1 will be given for the specialty treatment facility hospitals, grade 2 will be given for the semi specialty hospitals and grade 3 will be provided to those who just have primary facilities to treat serious patients. Why was this scheme initiated in Karnataka? There is a specific reason why Karnataka was selected for the inauguration of this scheme. According to the reports, there are a total of 43694 accidents every year, 56818 people get injured and 10444 deaths take place just because accidents. Accidents also take place in other states as well, but right now, Karnataka is the state that has the infrastructure of offering such facilities to the common people. In the year 2013, Karnataka was second in the number of road accidents and fifth in the number of deaths due to road accidents. To address this grave condition the government of Karnataka has taken up this decision. What are the emergency services provided? The EMRI will send the ambulance to the accident site ASAP. The emergency medical technician in 108 will offer help in shifting the victim to the nearest hospital. The technician must be sure that the hospital is provided with the adequate facilities that the patient needs. And this can be done based on the severity of injuries. If it is possible by the people on site, then they can also arrange for private vehicles and transportation. Patients with or without medico legal cases will also be provided with the care and treatment. The first treatments include, stabilizing the patient depending on injuries, suturing and dressing up the wounds, ward based treatment, ICU and blood transfusion. The initial idea of the scheme was to provide relief for the accident victims. But the idea was extended also to mobilize resources for dealing with unforeseen activities. The primary stage of an accident, called the golden hour is really vital for an accident victim. A lot of victim’s life depends on the golden hour treatment. To make sure that none of the victims face with the issue of lack of golden hour treatment, this scheme has been developed. Most of the times victims are alone and they cannot give the details of their family members. This is why designated phone numbers, applications and software are used for approval of patient party for treatment. It is used through online MSS application for getting the spontaneous unique number. The number is very vital and it is utilized for further reference to the patient party. Now, let us know about the details of Harish Nanjappa. He was the motivation behind this scheme.